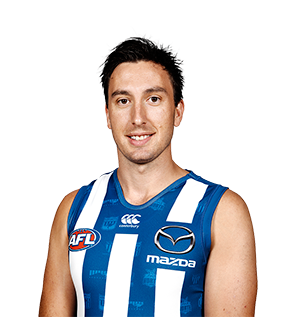 After 701 days out of the AFL, Sam Wright will make his return to the North Melbourne lineup. From Katamatite, Sam Wright was part of the 2008 Murray Bushrangers premiership side. 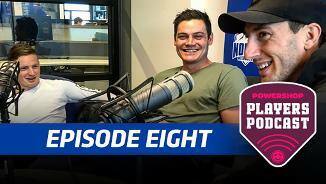 Playing alongside future stars such as Jack Ziebell, Steele Sidebottom and Tom Rockliff, Wright’s skills on both sides of the body stood out, averaging 18 disposals a game for the season. His ability to read the play well saw Wright deployed in a number of positions. North Melbourne selected him with pick 27 in the 2008 National Draft, making it two Bushrangers for the year. Having overcome foot and ankle injuries which sidelined him for multiple seasons, Sam Wright return to AFL football in Round 7 against the Swans. From there, he quickly settled back into the fold, playing every game for the remainder of the year. Wright signed-on at the conclusion of the season which will see him continue at North in 2019. 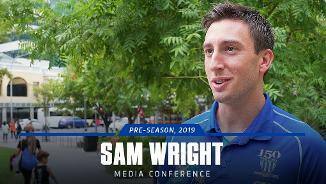 A regular in the North Melbourne backline when fit, Sam Wright hasn’t taken to the AFL field since round 11 of 2016 as a result of a recurring foot injury. Four games for Werribee in the VFL was all the game time that Wright was able to manage in 2017, with his foot/ankle injury impacting his ability to string any more than 3 games together. 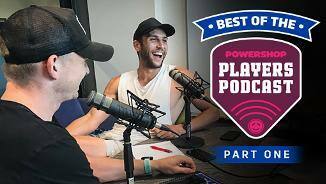 After seeing a variety of specialists, including the physiotherapists in the Australian Ballet, Wright will be hoping to overcome his injury woes and retain his place in the best 22 for 2018. 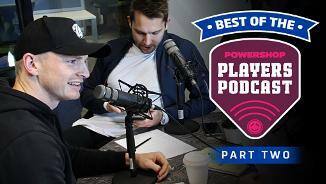 “I thought Sam was unlucky not to make All-Australian the year before. “We really missed him and his workrate, his leadership, his intercepts and that was a shame. 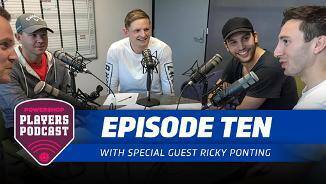 “You can tell there were days where the injury frustrated him but he’s a terrific character and a fun person to have around a footy club. “Wrighty got a lot of confidence out of the end of last year. Playing well and contributing in finals wins helped him and he also had a good pre-season. “He’s come along in leaps and bounds while having a good mix. He’s right up there in offensive stats for a defender but he’s also played on good forwards like Luke Breust and Devon Smith. “He really nailed down that small defender spot and he pretty much played on the best small forward every week. “For the most part he’s won his battle each week. He really grew off last year and improved, and we need him to improve even further. “He also gave us great run out of the back half. What was shaping to be a lost 2014 for Sam Wright turned around dramatically in the last two months of the season. 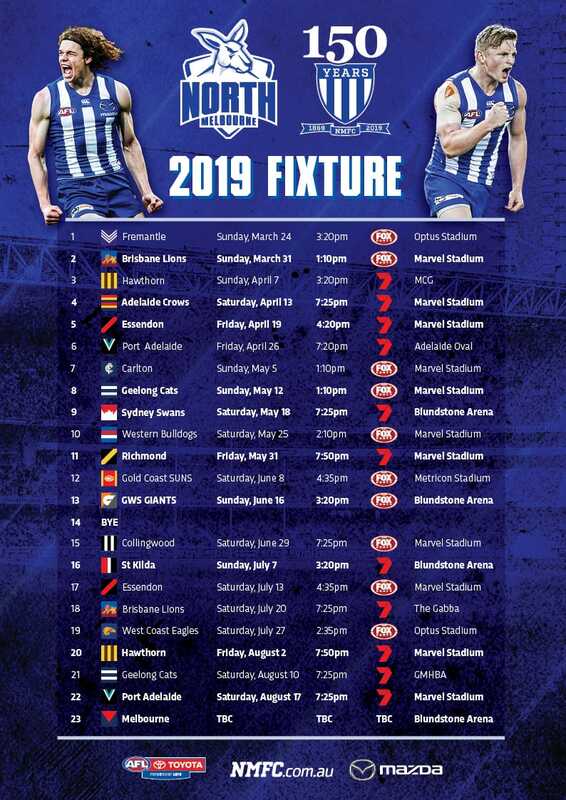 After only playing four of North Melbourne’s first 14 games, Wright returned to the side in Round 16 to face Hawthorn. Given the job on dangerous forward Luke Breust, the defender was one of the side’s best on the evening. Breust only had five kicks, while Wright collected 22 disposals and five rebound 50’s. From there he went from strength to strength, regularly getting the better of his opponent. Not only was Wright able to carry out his defensive tasks, the skills on both sides of his body made him a valuable player with ball in hand. 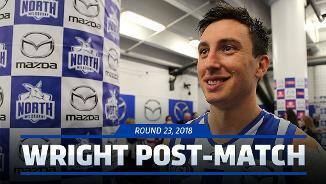 After his Round 16 return, he led North Melbourne in rebound 50’s for the rest of the season. The number 19’s good form was reflected in the Syd Barker Medal count, as he polled in all but one of the games to close the season. “Sam could still be anywhere and everywhere depending on what the team needs in any given week. His versatility has been his strength, playing in all areas of the ground. “For Sam it’s all about taking his opportunities in front of goal. He’s had some chances to kick goals and impact the scoreboard but hasn’t nailed those shots. Floating between the half-back line and being a defensive forward depending on the team structure, he performed well at times. However there were also periods of time where he struggled to get his hands on the ball and it eventually resulted in a stint at Werribee. On his return, Wright put together four consecutive good games. Settled in defence, Wright used his strong pre-season to play a career high 21 games and poll his first votes in the Brownlow. Adding to his quality disposal by foot, Wright showed a new willingness to set up teammates via handball. His 156 handballs for the season easily outnumbered his 96 from 2010. Wright was also used in a semi-tagging role in select matches. Against Geelong he shadowed Steve Johnson, restricting the Cats’ star to just six disposals in the first three quarters before Johnson was moved into the midfield, away from him. Then against St Kilda, Wright neutralised Goddard who was frustrated to the point of being suspended for striking. It would have been expected that Wright would have built on his 2010 by taking another step in 2011, but unfortunately it was not the case as he spent the year dogged by injury. After playing the first seven games, he suffered a shoulder injury and was out of action for five weeks. On his return, Wright kicked three goals from just seven touches against Essendon but injured his shoulder once more. It was his last game for the season. Wright's strong Utah trip in November set him up for an injury free 2012. Wright showed a glimpse of his talent in 2009 with four games, yet he really broke out in 2010, cementing his spot in the side. He played 20 games in a variety of roles, showcasing his versatility. He appeared to have settled in a role in the forward half with his finish to the year. In Wright's last five games he kicked 14 goals while also collecting double figure disposals in all of those encounters. Even with his increased possession numbers, Wright demonstrated an ability to influence a game with limited disposals. Against Melbourne in Round 6, Wright had just seven touches but kicked three goals.